Ages 2 to 92 Rave About Us! 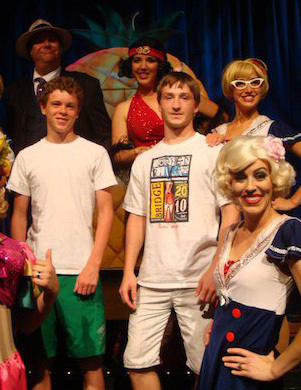 Kids love Capone's Dinner & Show from infants to teenagers - there's something for children of all ages. Read all about it! Families with kids of many ages have written glowing comments about our show. Kids from 4 to 12 are only $45.99 ($22.99 with coupon) and kids 3 and under are FREE! PLEASE NOTE: If you are looking for advice whether to bring your child to our show, please read the comments below from other parents who have experienced Capone's Dinner & Show. The script contains some sexual innuendos similar to many comedy shows on prime time television. The gangster shoot out is more comical action than violence, but mobsters do use bats, toy guns and a prize launcher. Please use your own discretion as to what your child should experience. 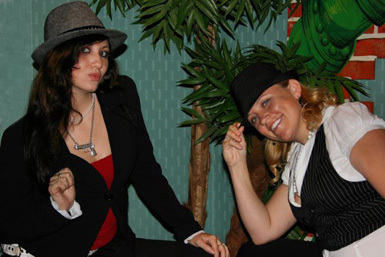 People of all ages enjoy the experience of our one-of-a-kind prohibition era speakeasy & cabaret! 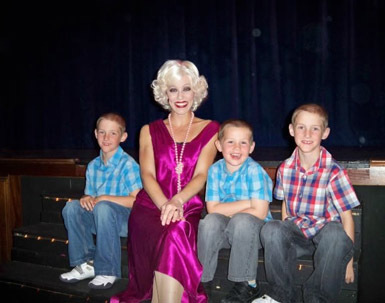 Capone's mobsters and dames entertain the young and young at heart. 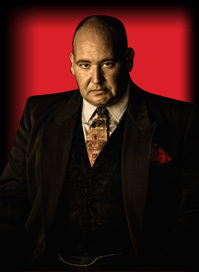 Guests of all ages enjoy our mad-capped comedy, musical adventure set in 1930 the era of Al Capone and Bugs Moran. It's a blast from the past! Purchase Tickets Online 50% Off! T. Keen wrote: We were looking to make a memory with our grandson so we decided to go to Capones. We were greeted outside by a staff member and directed us inside. After mug shot, we were seated where our server, Tony, was super nice. We were instructed to help ourselves at the buffett. Our drinks were always filled and Tony was always near. The show was amazing. Awesome job by the cast. Our grandson (10yrs) was entertained the entire time. Dessert was good. Definitely worth the money and our grandaon wants to go back. Thanks for the memories and the keepsakes. Cathy C. wrote: Going to be in Orlando in April. Thinking about seeing a show. Sounds like great reviews. Hope it's OK for kids. We've never been as well! 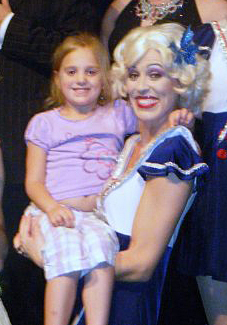 Capone's Dinner & Show wrote: We get a lot of kids and very seldom receive a complaint about the show's content. We have had church groups that loved Capone's and some churches that felt it was too risque. It's no more risque then your average prime time comedy on TV. Dan E. wrote: We have been taking our grandkids to the show for years. Thay not only have a great time, everyone make them feel like they are part of the show. We were there for our grandson's 10th birthday and the female lead keep asking him questions during the show, like he was her boyfriend. He is now 14 and still talks about it. Brooke B. wrote: We went to the show this past Friday and it was great!! We are from Wisconsin and always make sure that we catch a show every time we travel to Florida. This was our 4 time at Capone's and I swear it gets better each and every time we see it. My daughter actually said to my mom "Grandma, I have never heard you laugh ...so hard!" 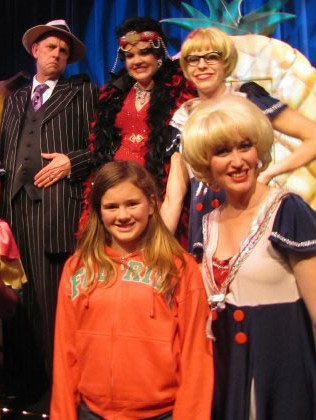 My daughter even got singled out in the show and Finger "spit" in her drink. She loved it! We all did! You cannot find a better value in the Orlando area!! Jeff V. wrote: My family visited Capone's the week before Christmas and had a blast! Our 5 yr old daughter Lily heckled Bugs and Fingers and they even incorporated her into the show. We had just spent a long fun day at Disney, but Capone's was the highlight of our day! Great fun, food and service! The best part was when Lily heckled Bugs and Fingers. "You are Silly!" They stopped the show and said "Miss Lily is heckling us! We're being heckled by a 5 year old! At this time, the spot light was on Lily who stood up, pointed at them and said "I'm 5-and-a-half!" Fingers then tried to take a sip of Lily's drink to make sure she wasn't drunk, but Lily covered it up with her hands and said "It's a Shirley Temple!" LOL! Mary S. wrote: I brought 2 teenage boys to your show on Sunday. It's always difficult to figure out what to do with them on rainy days and I love to go to shows, but wasn't sure that they would like it...we all loved it & had a great time!! Thanks for a fun night! Angela G. wrote: Just wanted to send you a pic of my daughters from one of our recent visits to Capone's. Still want to read more guest comments? We have posted additional comments from our FANS and CRITICS. 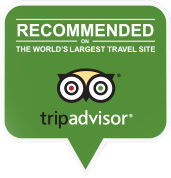 Please feel free to E-MAIL your comments to us or submit your review with a photo. We appreciate your feedback and want to make your experience at Capone's enjoyable. Have a photo and comment you'd like to share? Please fill in our review form. We'd love to hear from you! "WHAT A SHOW!! 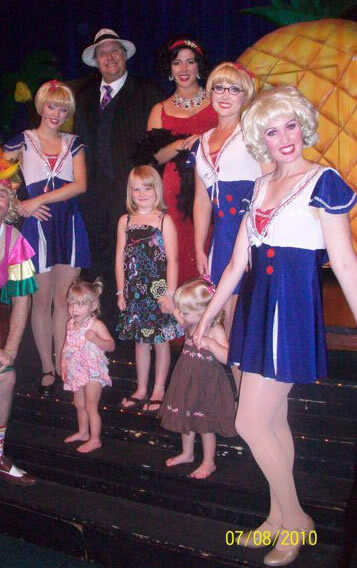 Just wanted to e-mail you to let you know what a great time our family had at your dinner show. Our three kids all had a blast and we adults believe Capone's offers the best value for the dollar by far. We have been to many dinner shows and Capone's beats them all! Great job to everyone at Capone's!!" "My family came to dinner...and we were highly entertained. My three year old daughter has been walking around telling everyone to "smear her lipstick!" Thanks for a great show!" "We were on vacation from the U.K. from 22nd March to 15th April. Whilst we were there our daughter got married and we had family travel down from New Jersey for the occasion. We thought about how we could best spend our last evening with them before they returned to N.J. so we decided to take in your show on 27th March. We don't have anything like this in the U.K. so weren't sure what to expect. We can only sum up what we were exposed to in one word BRILLIANT. From the secret knock and password to gain entry to the "photo call" once in really added to the flavour of the evening. The food was plentiful and delicious and the drink flowed freely. The show was hilarious and the singing superb. The interactions between the cast and waiters is ingenious and really works. In all this was an excellent evenings entertainment and we were sorry when it ended. We really did make the right decision on how to spend our last evening together. Can you please pass on our appreciation to everyone concerned for their hard work in striving to make this a night to remember ... We did take in another dinner show during our stay but were disappointed with it having been so well entertained by you. I guess you must have spoilt us." "...just wanted to take a moment to let you know how much my family and I enjoyed your dinner show last month while visiting Orlando. Over the years we have been to the area several times and have seen almost all of the area dinner shows. Yours was hands down the best we have seen. The food was excellent, the cost very reasonable and the show itself was fantastic. My kids and I had an absolute blast and will be sure to do it again the next time we visit. I'm sure to tell anyone I know that is heading to Orlando to see your great show. Thank you."